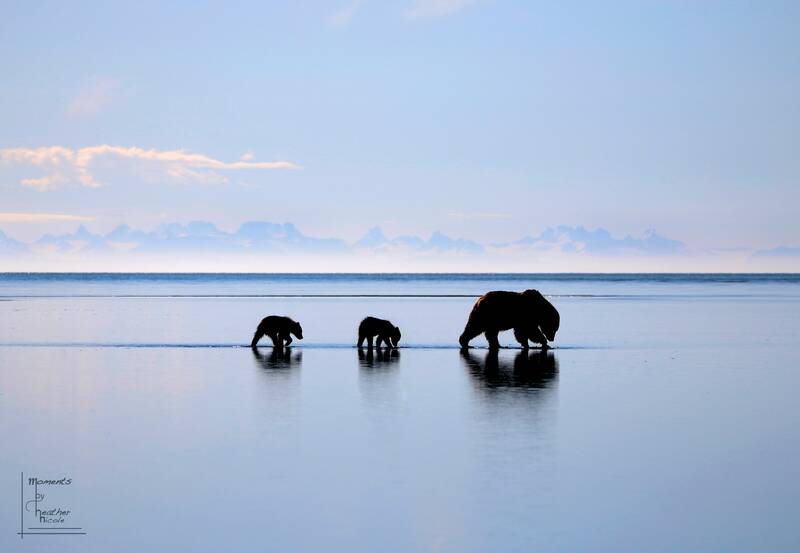 A pair of bear cubs mimic their momma as she searches the shallows for clams. Taken in Lake Clark National Park, Alaska. 4x6, 5x7 & 8x10 includes white designer mat.